We are unaware of the existence of most of our surroundings, which we do not see and hear because their frequencies are faster/slower than the sound and light frequencies that our senses can detect. Even though our human faculties are perceptive, they are nevertheless limited, like a radio that can only receive certain electromagnetic waves and not other parts of this band. Our senses are most familiar with matter, the densest form of energy. Lighter and faster forms of existence are beyond our sensory capacities. The perceived world is, therefore, a distortion. The goal of traveling the Path aims at dispersing the veils that hide the self from the Real and thereby become transformed or absorbed into undifferentiated Unity. The zikr practice provides the means for a purified mystical seeker to close the gap between the physical realm/nature and metaphysical nature. Zikr is a particular method of approach to Reality, making use of intuitive and emotional spiritual faculties which are generally dormant and latent unless called into play through training, under guidance. Zikr is the central ritual of the Egyptian mystics. This practice leads to the freeing of oneself from the body and the limitation of human senses. 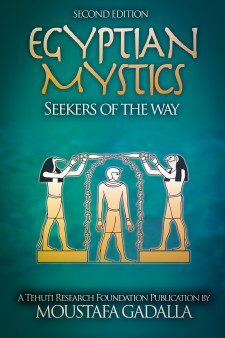 As a result, the participant’s consciousness is raised, whereby the mystical seeker achieves knowledge of God by way of revelations where states of visionary ecstasy exist. Early Sufi traditions acknowledge that zikr was introduced into Islamized Sufism by the Egyptian Dhu ‘l-Nun al-Misri, who said: “zikr is the absence from oneself (by recollecting God alone).” The absence from oneself is the ideal recollection of God. 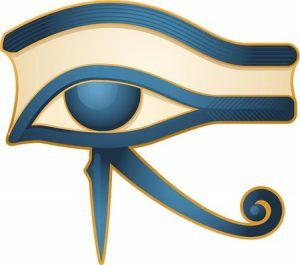 The whole of Egyptian mysticism rests on the belief that when the individual self is lost, the Universal Self is found. The purified mystics strive for loss of self and absorption into the Divine, in order to obtain personal illumination and transcendence—an ecstatic visionary. Zikr—means testifying or remembrance. Implicit in the term remembrance is the notion that we are coming back to what we once knew (through our past lives)—what we have already learned. Remembrance is achieved by each’s heart and tongue [also see Appendix A]. Hadra—means presence; i.e. being in the presence of spirits in higher realms, or calling on higher spirits. The response and participation of these higher spirits in the zikr are very important, as will be detailed later. The goal of the zikr/hadra is to achieve ecstatic trance when the soul is drawn to and is absorbed for a time in the “All-Soul”, like a magnet. It should be noted that the concept of samaa is also very important in mouleds [see Chapter 10 for more details]. Zikr is a practice performed by a group of mystical seekers, by chanting, rhythmic gestures, dancing, and deep breathing. While performing their ritualistic dance, the group repeats words and phrases, accompanied by a well-trained choir performing instrumental and vocal music. In zikr, the accompanying singing of well-composed musical rosaries helps achieve the trance. The music sets the rhythm (beat), which is altered by the conductor/guide to achieve the trance conditions needed to achieve ecstatic visions. The bodily movements of zikr participants are linked to a thought and a sound, or a series of sounds. The movements develop the body, the thought focuses the mind, and the sound fuses the two and orients them towards a consciousness of divine contact. The representational sacred dance of the zikr is analogous to the movements of the cosmos and the oneness of the universe. The individuals performing the zikr—as led by their guide – are like the planets of a solar system. In other words: the guide/leader is the sun and the participant seekers are the planets—each in his own orbit—yet, they are held in unison by their guide/leader.